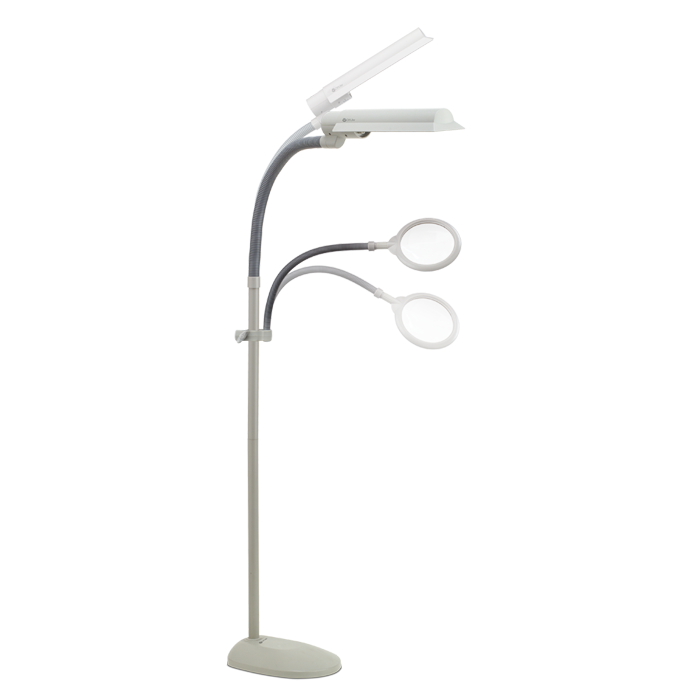 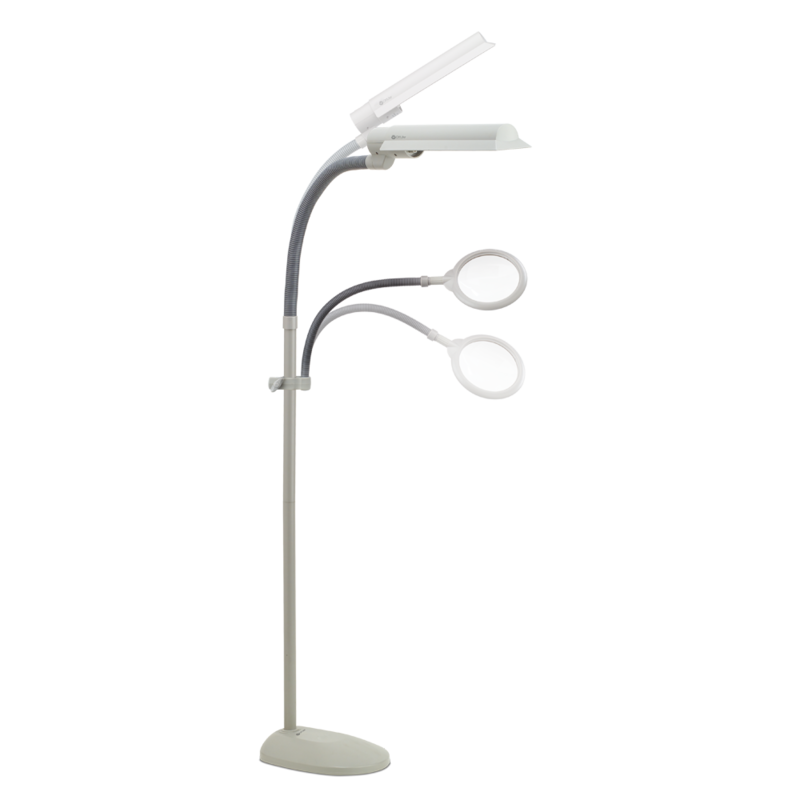 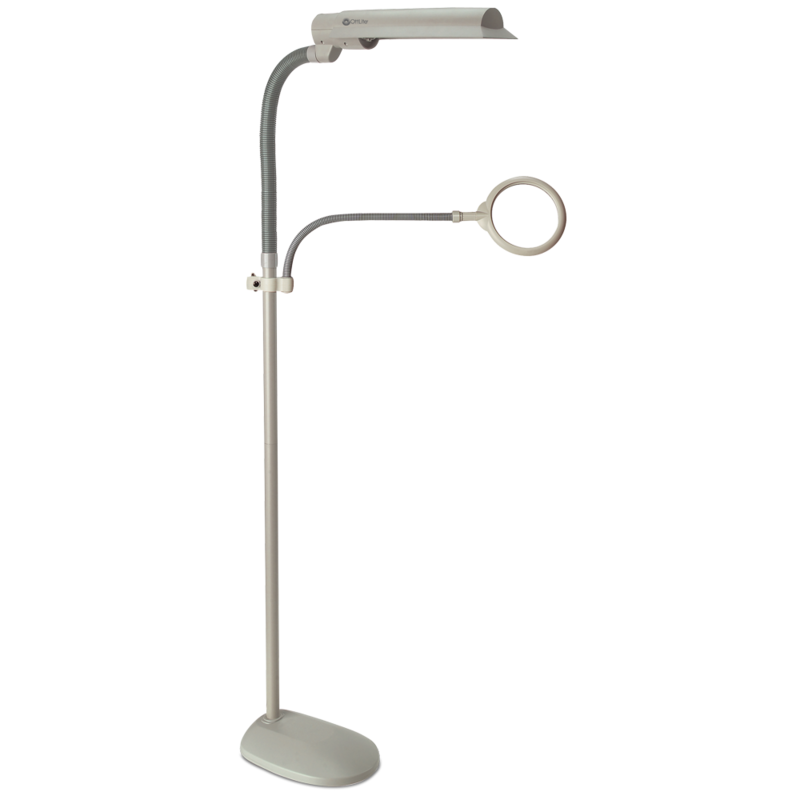 The 18w EasyView Craft Lamp combines OttLite natural daylight illumination with an adjustable 3x optical grade magnifier arm making it the perfect tool set for seeing details clearly and colors accurately. 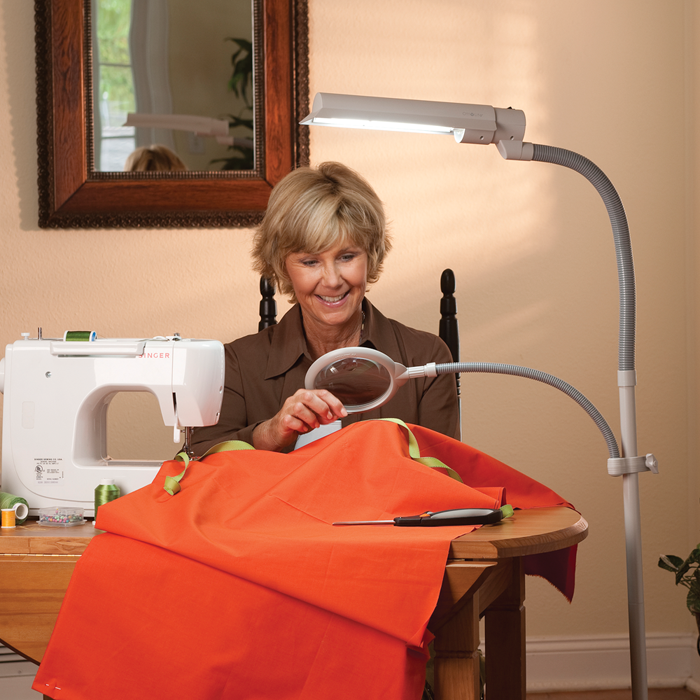 The wide wing shade rotates to direct light right where you need it and the flexible neck lets you easily adjust the height as you work. 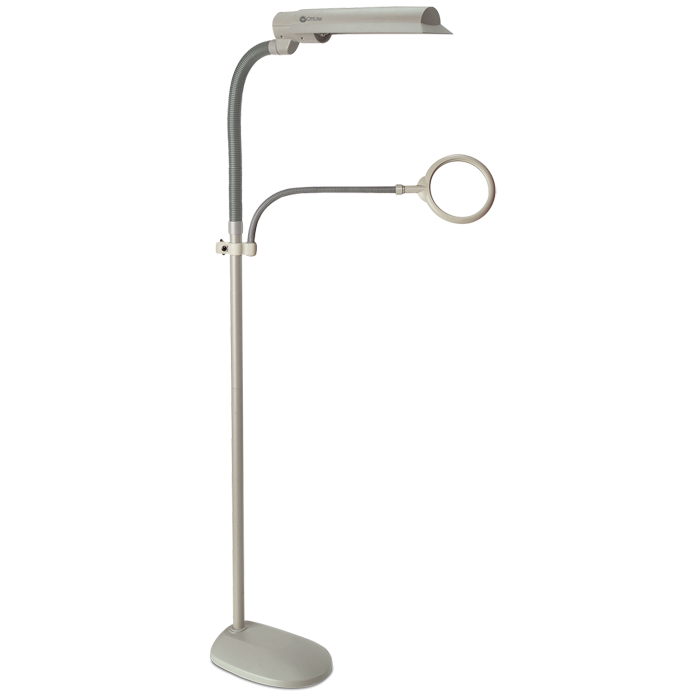 This standing lamp is ideal for projects in the crafting room, workshop, home or office. 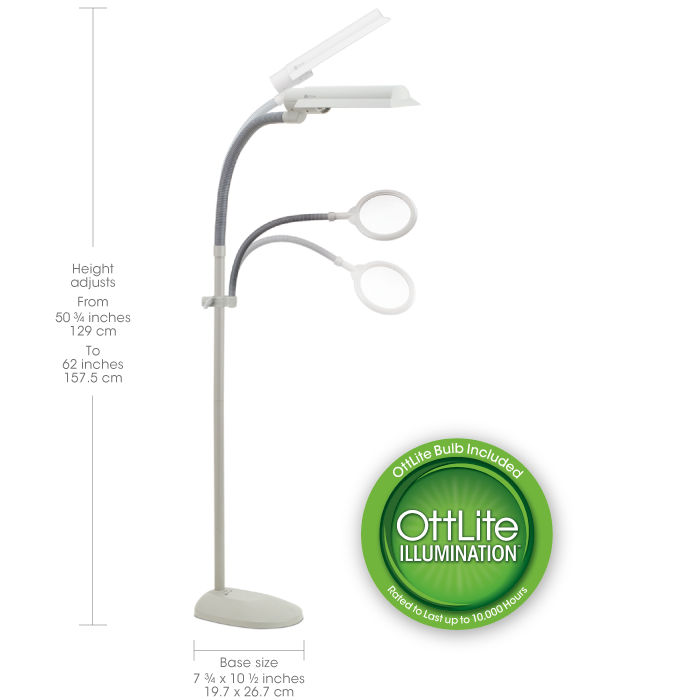 The low heat, low glare OttLite illumination helps reduce eyestrain for hours of creating in comfort.